I have already done a drivelapse tutorial, but this one is a little bit different. I like to shoot it symetrically from the back seat, as I showed in the tutorial. But now I’m preparing for the new video project, so I’m looking for some new intertesting shots. Well, you can’t shoot the same things all the time 😉 Check out the shot and the description below! The footage was so unstable that I needed to stabilize that in post. I tried Warp Stabilizer, but as I thought it just didn’t work with this kind of footage (that’s why it’s important to shoot it well ;)). The second option for me is always one point stabilization in After Effects using Stabilize motion feature. 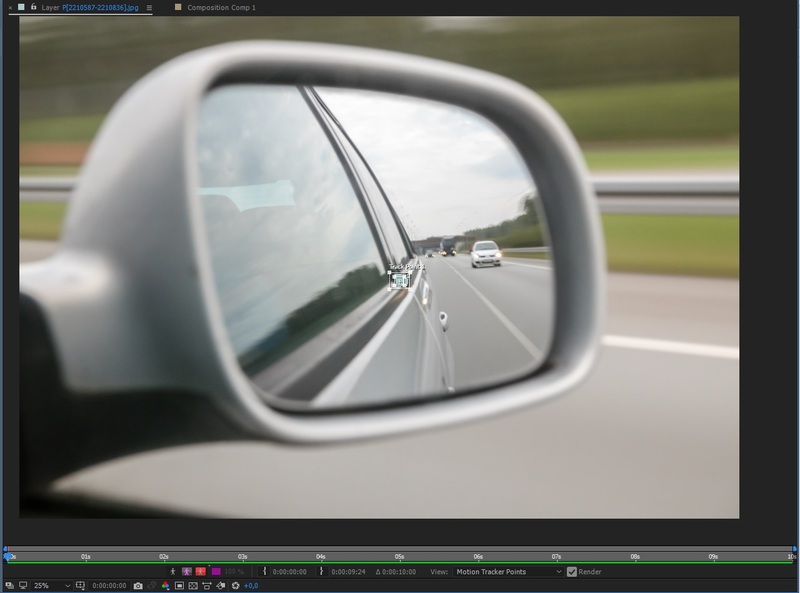 After a few tries I decided to stabilize the car reflection in the mirror. The result was the most pleasing for me, however the footage isn’t overall perfectly stable, because the mirror moves a little bit during the shot.